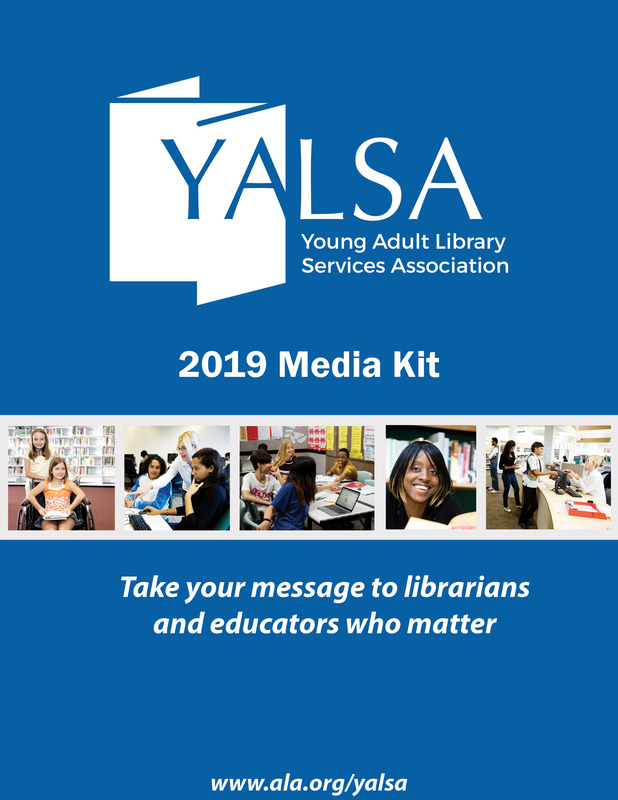 By Stacey Shapiro February 7, 2019 February 7, 2019 YALSA Info. Although I have been at an ALA Annual conference, I had never before attended an ALA Midwinter. It’s comfortable enough if you’ve been at the larger conferences, because it feels more compact, and yet there’s still so much going on that it’s impossible to choose between sessions. At first glance, you might think many of the meetings are only for committees and roundtables . What is there for a a normal, first-time attendee to enjoy? The beauty of Midwinter lies in the fact that you can attend many of these meetings. Many roundtable, division, or Board meetings are open to the public, and they love seeing new faces. As part of my Emerging Leaders group, I attended the Board meeting for the International Relations Round Table. It’s a great way to see how these divisions work and test out the ones you’re interested in joining. 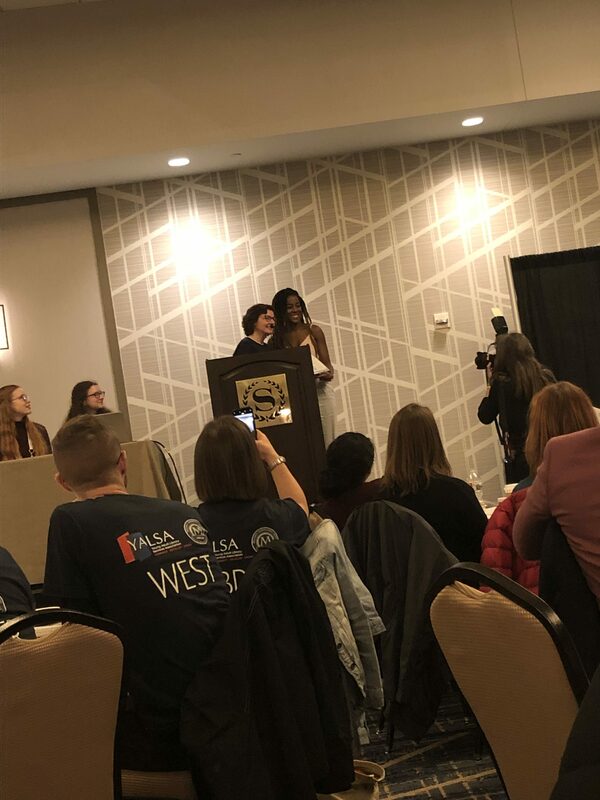 Not only that, but YALSA had some excellent programming at Midwinter. The Best Fiction for Young Adults Teen Feedback Session is not to be missed. Local teens are invited to a lunch with authors, and then tell the BFYA committee their thoughts on the BFYA list! It was great hearing actual teens talk about the books we hope they love and seeing how our perspectives fit together. I also had the privilege of attending the Youth Media Awards and the Morris and Nonfiction Presentation. Being in the room where it happens was magical, and the crowd was electric. After that, I got to meet some of my favorite debut authors at the Morris presentation! The presentation also comes with a number of free books, so it’s a worthwhile addition to any conference registration. Overall, Midwinter is a joy to attend because it’s so much smaller and easier to navigate than Annual. If you’re nervous about attending such a big conference, definitely try a Midwinter first! My goal for this summer was to create a teen summer learning program at the library, because we didn’t have a dedicated teen services librarian before. My first lesson was easy: I tried too much. I’m still trying to connect with the teens so there were usually multiple events a week in July. I am a department of one, with the children’s department happy to assist when they are also not busy. Next year, I need to take a look at the broader theme of the summer, plan a few special events, and a few more low-key events that I can manage on my own. There were some truly large events that I have to re-examine for next year, and some smaller ones that I’ll consider not doing again. By the end of July, I had run myself ragged, and I still had most of a month of programming left to do. But looking back at what I did accomplish, there is a lot that worked for my teens and my area. Taking some ideas from “Adopting a Summer Learning Approach” by Beth Yoke, I had created a space in my library where teens could learn in a safe, fun environment over the summer. I spent six months crafting my STEAMPower Camp, a week-long program whose purpose was to encourage young women in middle school to try different STEM activities. We had women in STEM fields come in, physically or virtually, every day to talk about different STEM career paths, and plenty of experiments to keep them busy. The girls, who already knew each other from school, were quick to join in teamwork to surpass my challenges. There were girls who had a little more trouble than others working in teams, but I could set one of my older teen volunteers with them to smooth things over. They learned to work in teams, and to experiment and see how many different fields of science they could go into. However, it took a lot out of me. And the most important thing I learned was to plan for breaks in the summer. Just a day when I didn’t have a program or something to plan, and that I could take a breath and do the other parts of a one-person department like read review journals and order books, or catalog them. Regular life has to go on during the summer, and no matter how excited I was for it, there was the regular part of librarianship that had to go on while I was doing bigger and better programs. Next summer, I’ll have a cataloging assistant, which will certainly help, and I’ll know better than to plan 20 programs in one month. How’d your summer programs go? 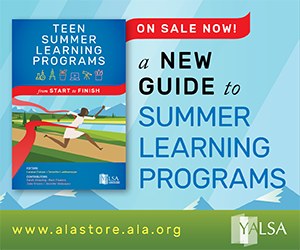 By Stacey Shapiro July 24, 2017 July 24, 2017 Conferences and Symposia, Continuous Learning, YALSA Info. ALA’s Annual Conference is over for this year, and library workers are back home, energized and ready to dive into summer learning or planning for the coming school year. It’s also time to sit back and reflect on what made a good annual conference this year, besides the obvious things (IMHO) like hearing Hillary Clinton as the closing speaker. What panels spoke out to you? Which ones did you feel gave you the most actionable know-how to take home and try out that very next week? And things we like to think less about here at YALSA, but what didn’t work so well? Why didn’t you like a certain panel? Were the panelists too rote? Too unimaginative? By Stacey Shapiro April 5, 2017 April 5, 2017 YALSA Info. With a new federal budget on the horizon for Congress, it’s important to remember why the Institute of Museum and Library Services (IMLS) is important to each state. I interviewed Mary Chute, State Librarian at the New Jersey State Library about why this federal funding is so important. 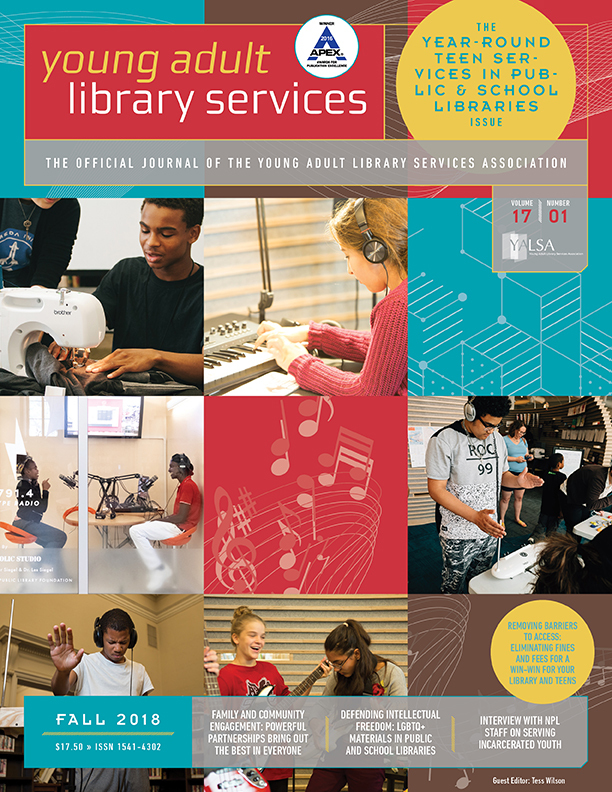 By Stacey Shapiro March 15, 2017 March 15, 2017 YALSA Info. Instead of Teen Tech Week, my library is participating in NJ Makers Day. It’s a statewide initiative brought about by a grant three years ago, and now it’s a nonprofit dedicated to the spirit of making in New Jersey. It’s approaching fast on March 25, and my library is just about prepared for it. I just recently finished my MLIS at Rutgers, and this is my first full-time library position at Tenafly in New Jersey. I had been involved with Makers Day before as a part timer, so I wanted to involve my new library as well, a first for the town. Along with the children’s librarian here, I’m planning a full day of events for teens, kids, and adults alongside 299 other locations across the state. It’s the biggest NJ Makers Day yet, and I felt it was important to introduce the community to the idea that the library can be involved in making and STEM education. 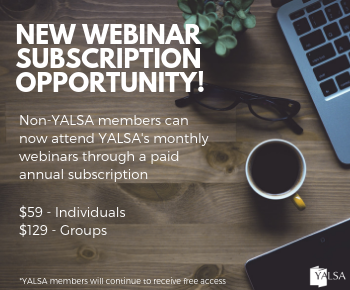 By Stacey Shapiro September 20, 2016 September 21, 2016 YALSA Info. It seemed like my programming was finally taking off. Sure, I still had only one regular participant in the Comics Club, but I had a solid core group for my Teen Advisory Board, and they ran an excellent end of summer puppet show for younger children. And then I accepted a new, full time position because my old library couldn’t offer me that. It was hard enough telling my director, but I was even more worried about telling the teens. And then I thought, “oh my god, I’m going to have to do this all over again, at a library that has never had a dedicated teen librarian before.” The library staff seems used to teens, but more resigned to having them here than excited about it, and they’ve warned me that it’s hard to get these teens into the library — “they’re just too overscheduled!” Well, I’ve heard that one before. And if I’ve done it once, I can do it again. I almost passed on the chance to attend a programming brainstorming event held by the consortium’s youth and teen services committee because it didn’t look like they would focus on teens as much as storytime and other children’s events, but I’m glad that I did go. The programs that I heard about inspired a whole new set of programs for my new library, even though my director really planned for me to start slow. It only goes to show that you can never pass up the opportunity to meet some of your new colleagues, those who are in the trenches with you after school. 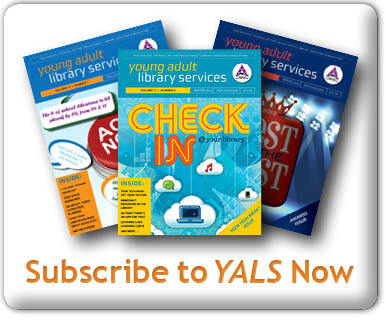 I also went back to the most important resource, YALSA’s website. 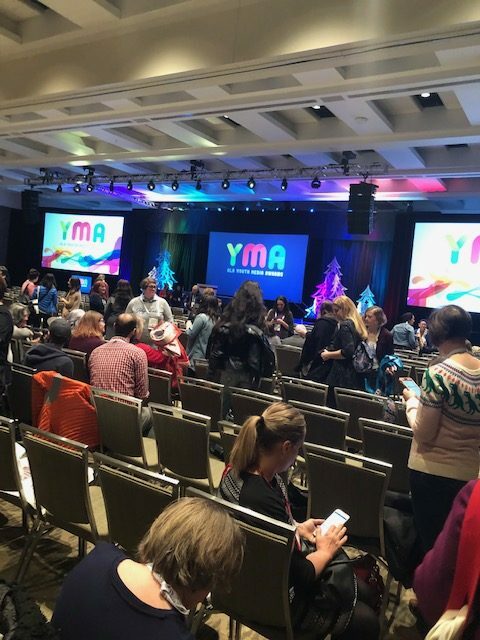 I knew that it would have some good basics to get me started, and this post offers a great look at the resources that YALSA offers. One way in which I was fortunate was that I started my job as school was starting. It was the first time the public library had been invited to Back to School night, but it was a great way to reach out to parents of teenagers who might be interested in my programs. Normally this goes against the way librarians advertise to teens, but in my new community, parents are extremely focused on school and community service, and I was able to effectively market my programs because I catered to that. Just by having fliers at the back to school night, I already have a signup for my Pokewalk in the park next door scheduled for October. It’s also important to get out from the back room when you can. I don’t often (I say, in my second week), get to be at the reference desk after school when the teens are coming in but when I am out here, I can see how dedicated the students are. As I wrote this, I had a table full of teens preparing an advertisement for a GSA for the town’s middle school, and when one asked me a question I was able to introduce myself and offer up space for them if they ever need it at the library. My director wanted me to start slow, but I never like being idle. I have a lot to learn as I adjust to a new community, but I’ve had some practice and I want to hit the ground running. I hope to be able to create a welcoming teen space here, and show others how to adjust to a new community.